Bannochie Builders has been a trusted remodeling contractor for the Maple Grove, MN area and surrounding Minnesota cities since 1995. 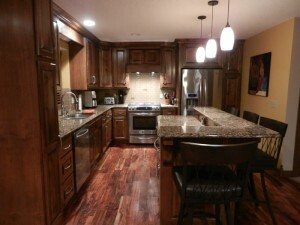 If you are interested in a kitchen remodel, Bannochie will come to your home for a FREE consultation. Our construction and remodeling business is local and family owned, Gary (Bannochie) and his team of licensed and professional contractor are dedicated to providing you the best, in every way!